While the USA is stepping off the Paris Climate agreement, China is leading the way in ‘green living’ by creating a forest city with millions of plants to eat air-polluting toxins. 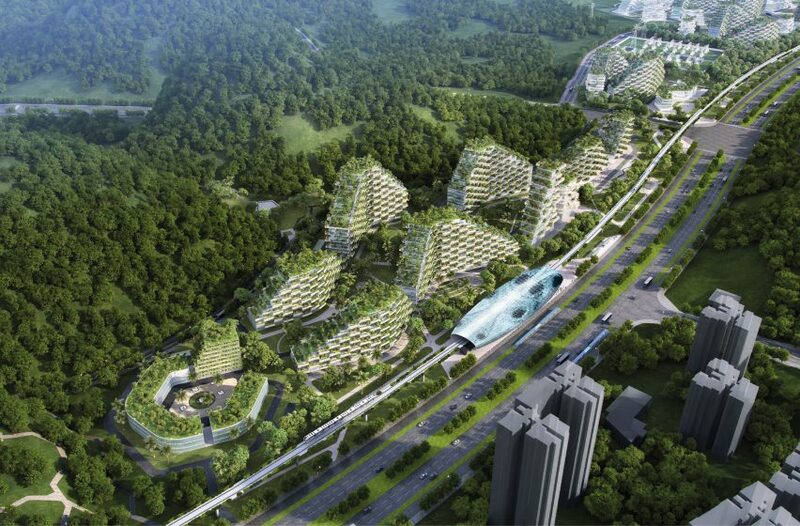 The city’s name is Liuzhou forest city, which is currently being built in the Guangxi region. Italian Designer Stefano Boeri is the architect of this city, in which buildings will be covered by more than 1 million plants and 40,000 trees. 30,000 inhabitants will be hosted in this city. The 342-acre, self-contained neighborhood will comprise more than 70 buildings — including homes, hospitals, hotels, schools and offices. The plants and trees wil neutralize 10,000 tons of CO2, 57 tons of pollutants per year and produce approximately 900 tons of oxygen on a yearly basis. Secondly, the city’s goal is to become energy self sufficient by using solar panels. A high speed electric rail will connect the forest city with Liuzhou. The Forest City concept follows a number of proposals by architects and designers to improve the quality of air in cities, such as Daan Roosegaarde’s Smog Free Tower, which is modelled on his pollution-eating vacuum cleaner. The city is to be completed by 2020. China is indeed setting a good example in energy neutral projects. Another good example is the completion of a fish farm in Zhejiang, China, which generates enough solar power to provide 100,000 homes with electricity, replacing around 7,4 tons of coal. It is a gigantic photovoltaic power station, covering an area of 300 hectares, with a total installed capacity of 200MW. Its average annual production capacity is expected to reach 220 million kilowatt-hours. It took six months to build it, and the company invested approximately 1.8 billion yuan ($262.6 million) in the project.